We mix the fresh ingredients early in the morning to prepare for baking these sweet treats. 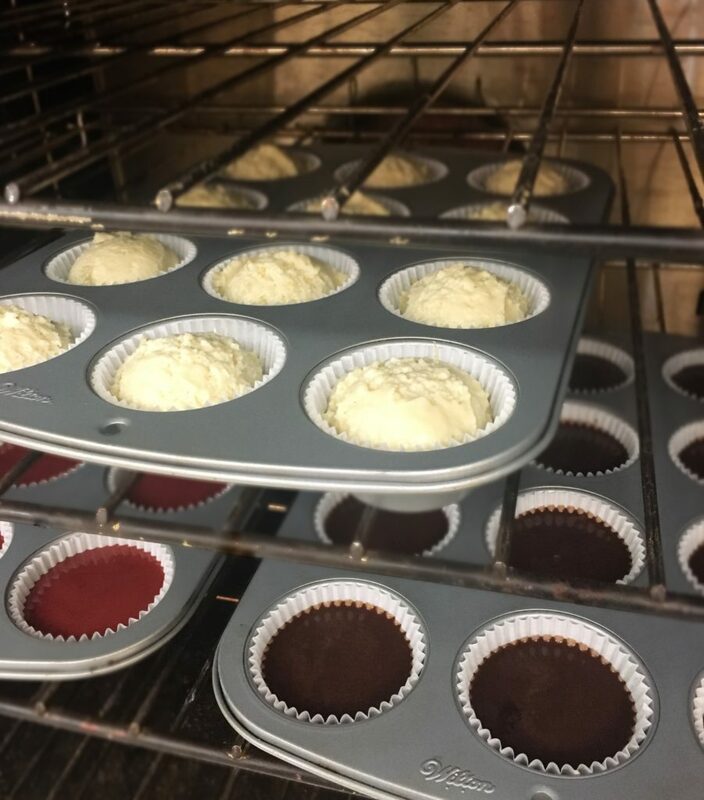 Here is a photo of the cupcakes getting prepared to go into the oven for baking. We like to let the ingredients sit for a short period of time to allow all the delicious flavours to meld together. Once this is done we put them in the oven. 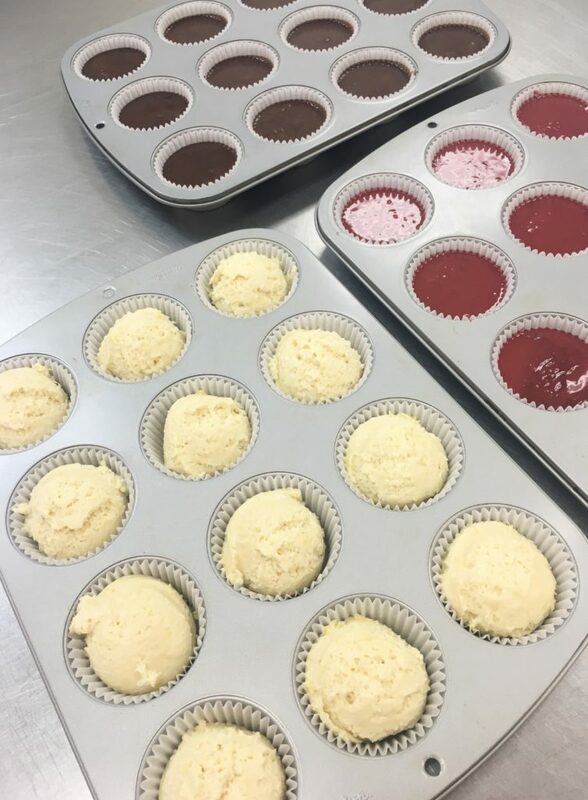 Here is a photo of three different flavours of cupcakes going into the oven to be baked. In a flash the timer goes and the cupcakes are ready to be removed from the oven. The fresh smell of these gourmet cakes is absolutely divine! 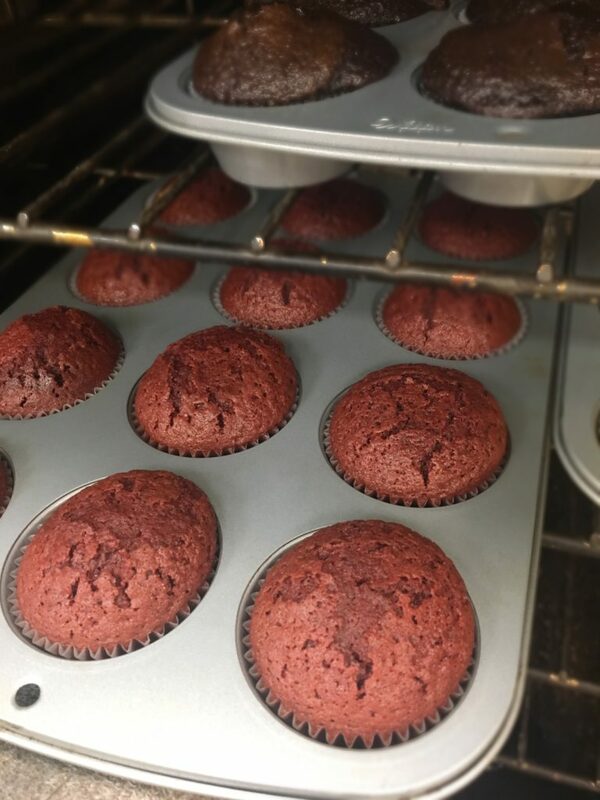 Once the cupcakes are properly cooled, they are ready for icing and special gift toppings. 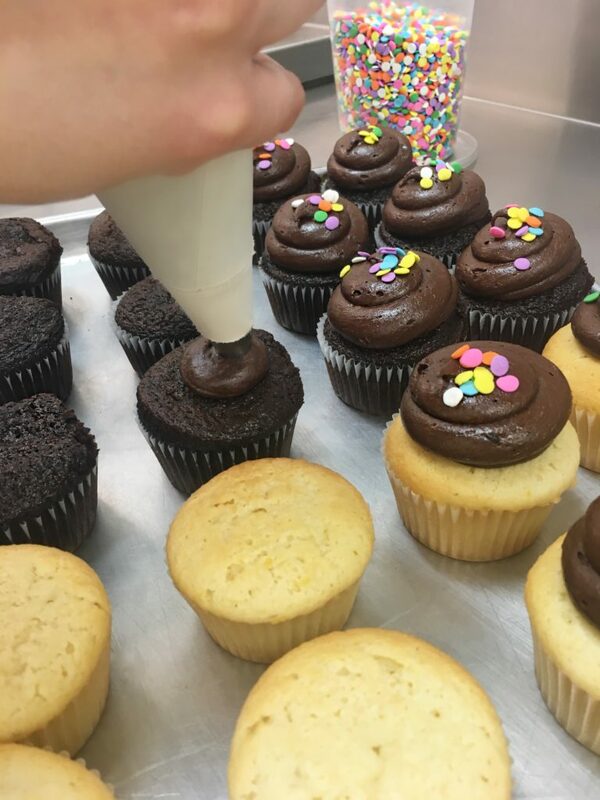 Here is a photo of one of our master bakers at work piping the icing on top of some chocolate cupcakes. You can see how time consuming making these gourmet desserts is. 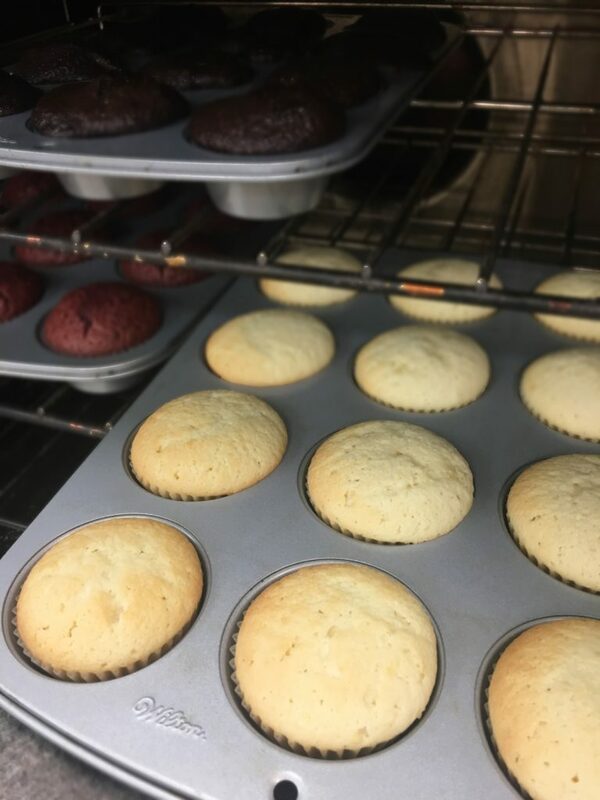 Once the cupcake frosting has been completed we often add a themed sugar cookie like our birthday cupcakes, with sympathy cupcakes, get well cupcakes, anniversary cupcakes and thank you cupcakes. 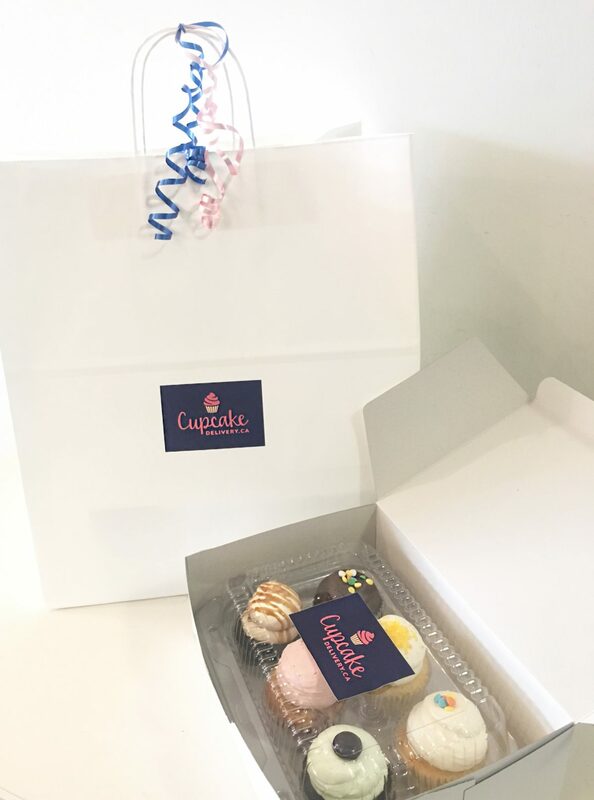 The cupcakes are then packed up into a protective casing to ensure they make the trip from our bakery to the gift recipient. We box them up to improve and include a free gift inscription where you can add your own custom message and photo to the gift. 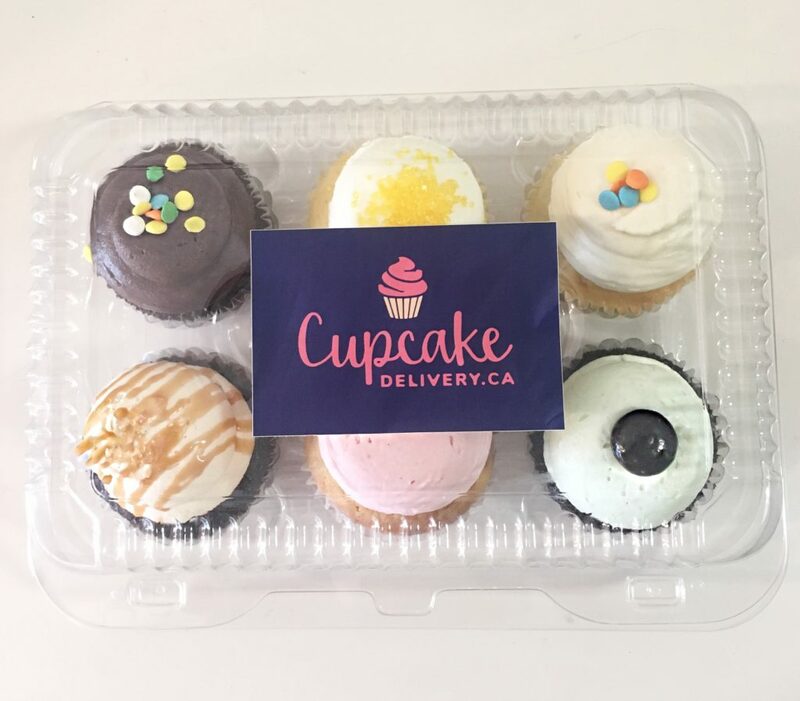 And finally here is one cupcake gift that is ready to be picked up for a same day dessert delivery to someone special in Toronto. They are picked up by our local Toronto courier and delivered by hand. We love baking cupcakes and making these unique gifts. 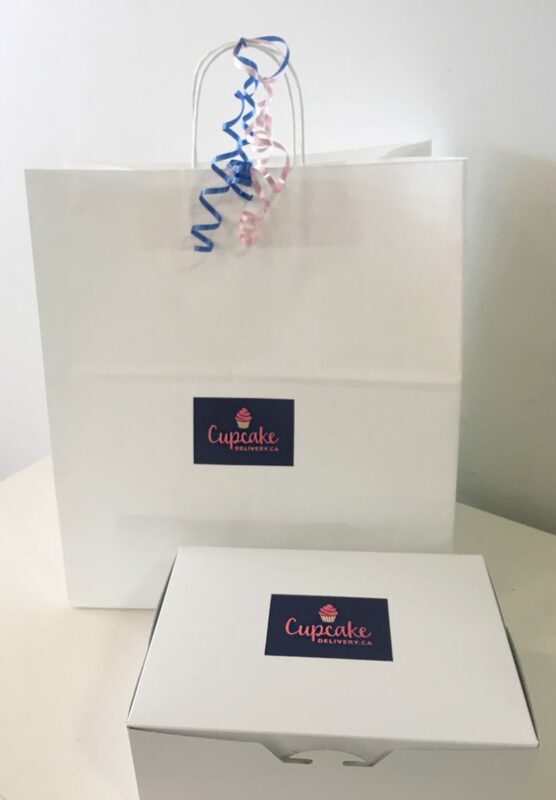 Thank you to all our customers for your support and orders of cupcakes. 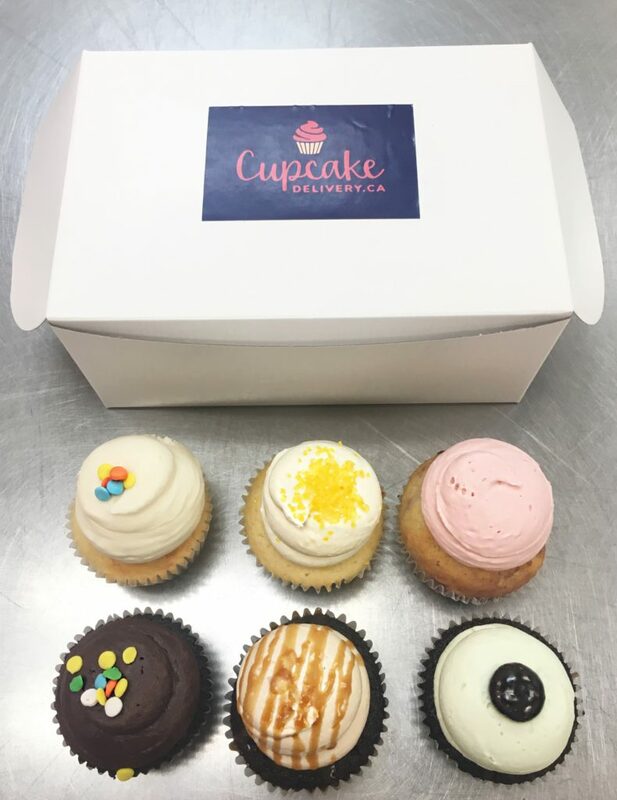 Make it a special day by ordering a dessert delivery of a gourmet cupcakes gift today.